Merge Games has announced that the real-time riot simulation RIOT: Civil Unrest will arrive on Nintendo Switch in February 2019 priced at $44.99 / €44.99 / £39.99 in both physical and digital formats. A Signature Edition will also be available exclusively at Signature Edition Games, with pre-orders now open. 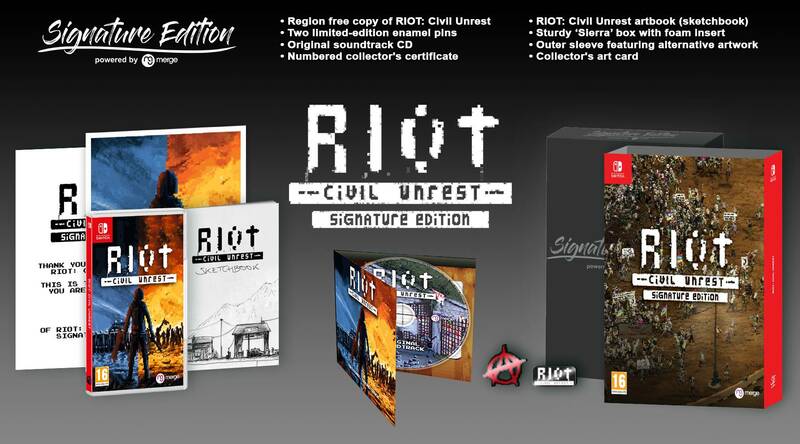 Anyone who pre-orders a Signature Edition copy of RIOT: Civil Unrest will receive an exclusive collector’s coin with their order. 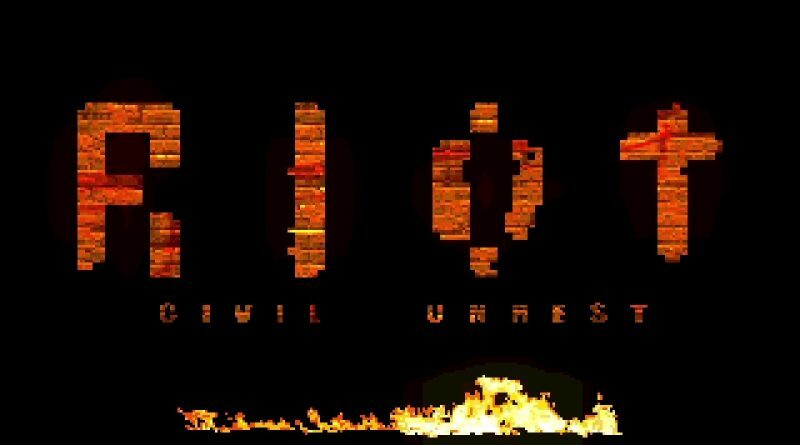 RIOT: Civil Unrest is a real-time riot simulation that recreates some of the world’s most infamous riots. Events include: The Italian NoTav opposition to a planned high-speed rail link between Turin and Lyon; The Arab Spring uprising in Egypt; Indignados, the anti-austerity protests in Spain; and Keratea, the landfill fueled struggle against the government in crisis-racked Greece. In addition, there are over 30 single scenarios including London in the UK and Oakland in the USA. Players are encouraged to experience the scenarios from both the police and protesters’ points of view in order to better understand both sides. It should be noted that while RIOT: Civil Unrest simulates over thirty civil disturbances it remains politically neutral, encouraging the player to research and make up their own minds about the cause and effects of each encounter. Players will quickly learn that using force and violence works short term but patience and passive actions yield more positive outcomes.